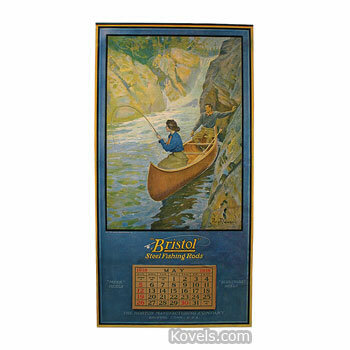 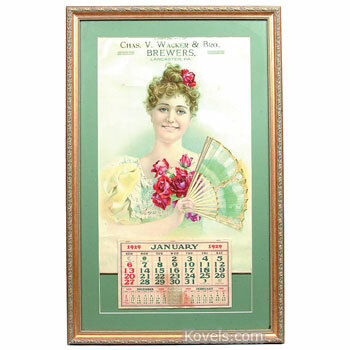 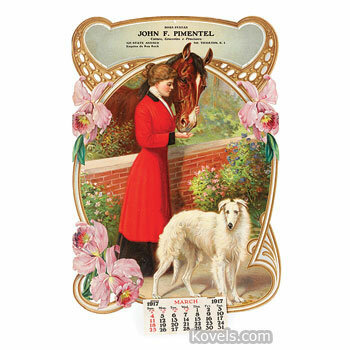 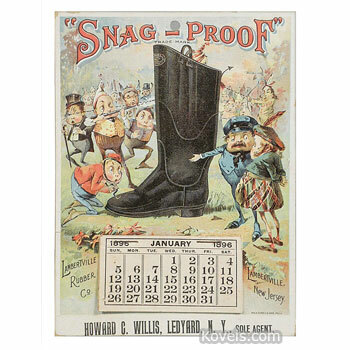 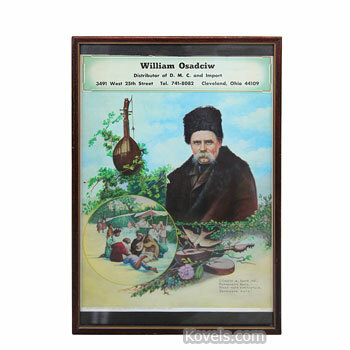 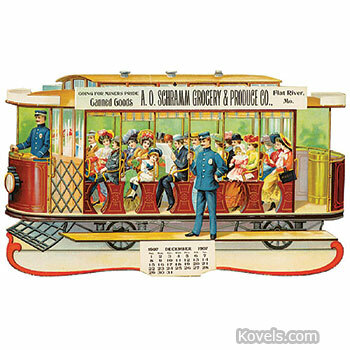 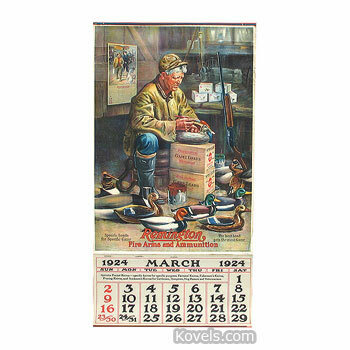 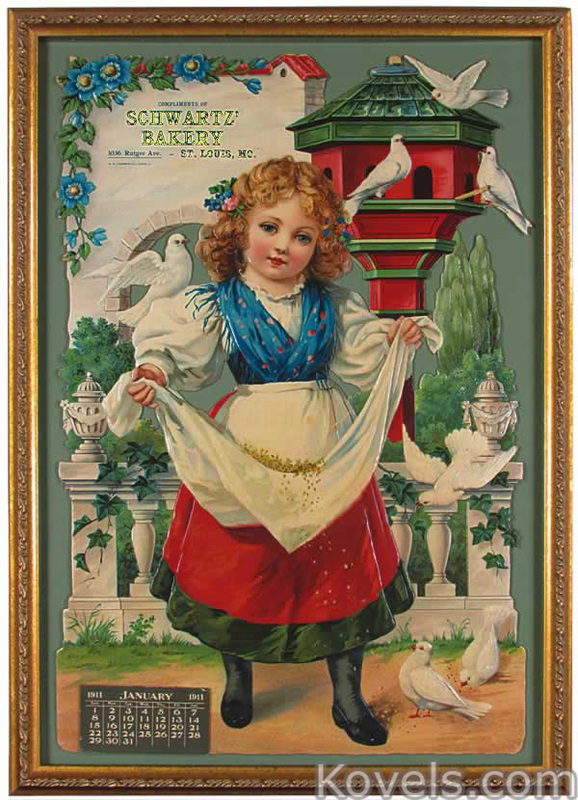 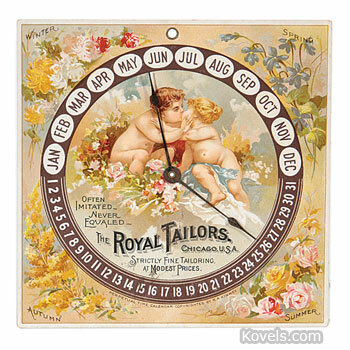 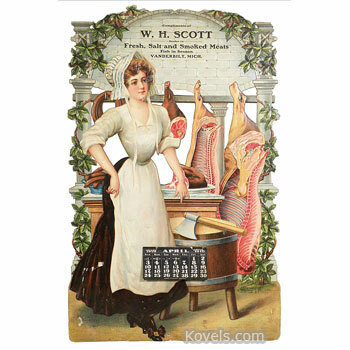 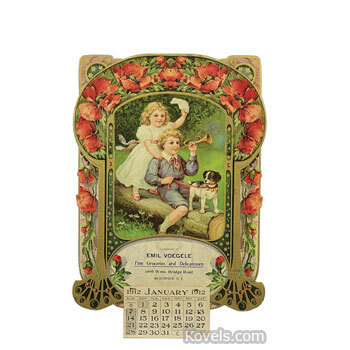 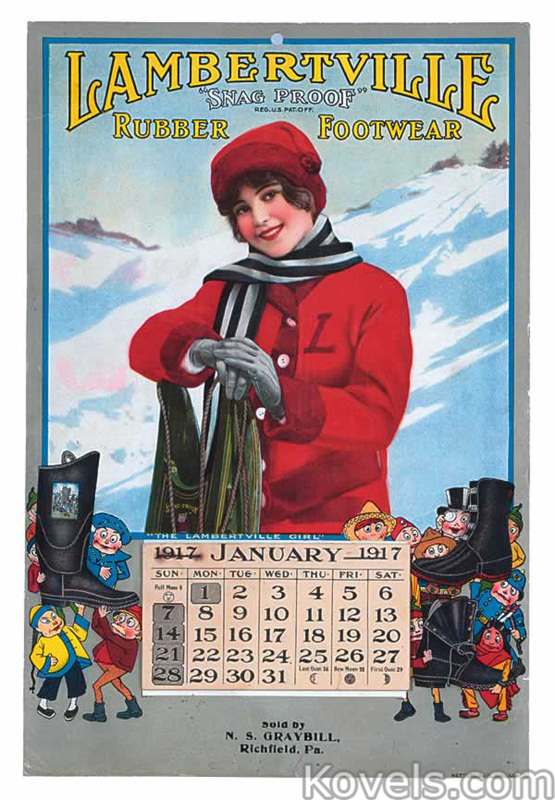 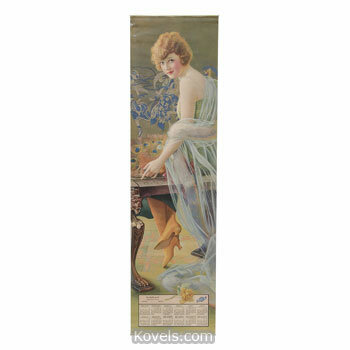 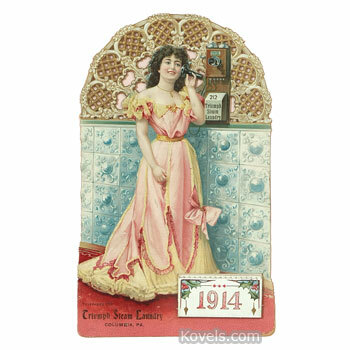 Calendars made to hang on the wall or to be displayed on a desk top have been popular since the last quarter of the nineteenth century. 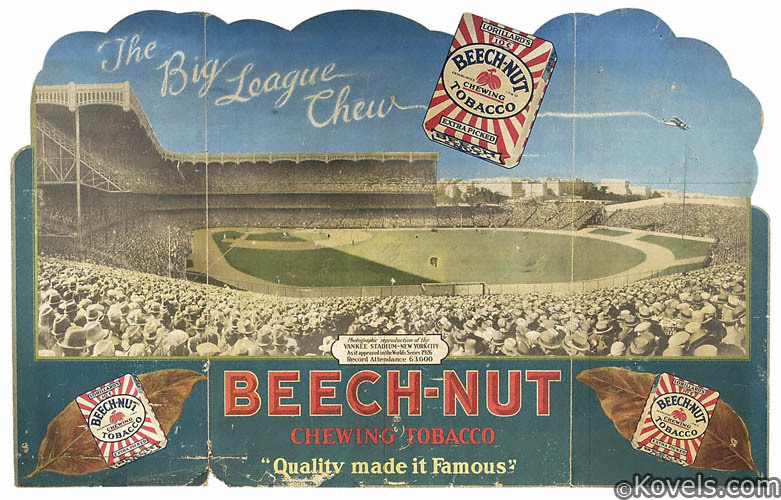 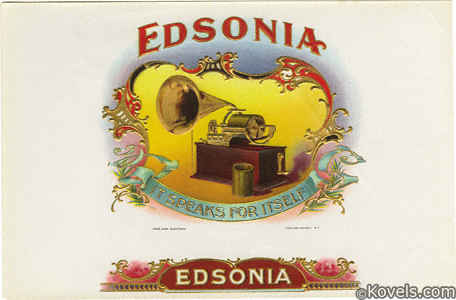 Many were printed with advertising as part of the artwork and were given away as premiums. 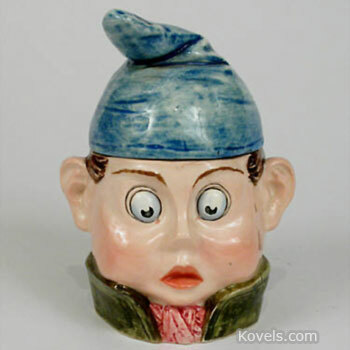 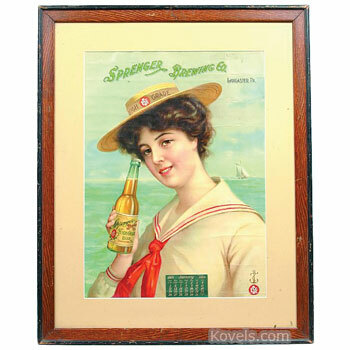 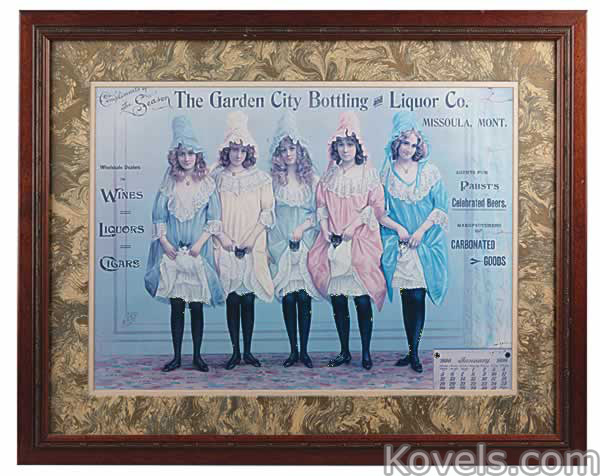 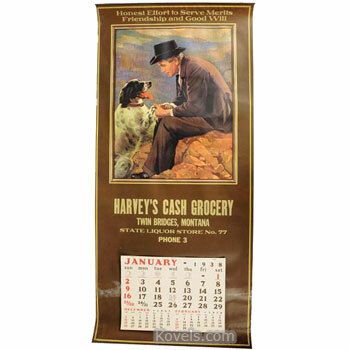 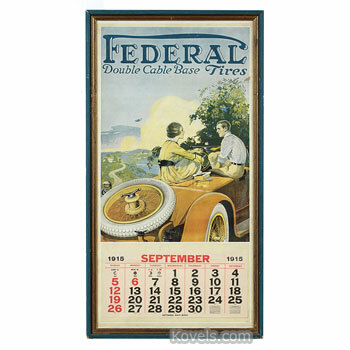 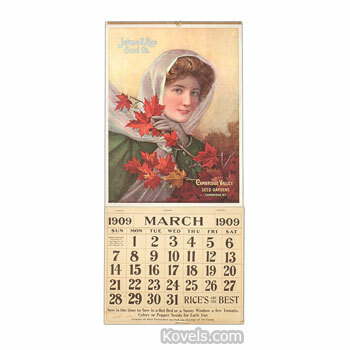 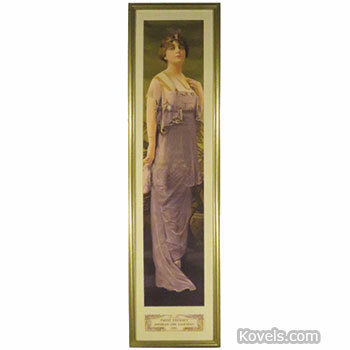 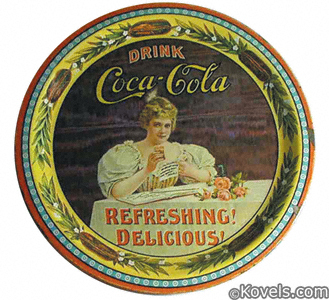 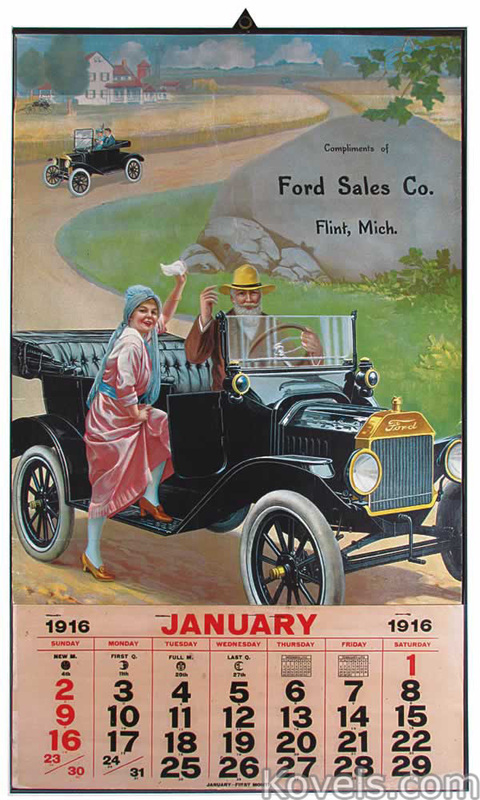 Calendars illustrated by famous artists or with guns, gunpowder, or Coca-Cola advertising are expensive. 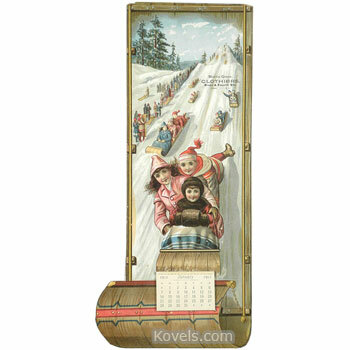 The wall calendar with a large picture and a small pad with tear-off months is wanted with the complete January-to-December pad.